Location! Location! Location! 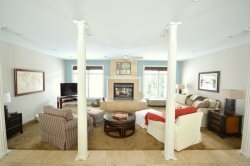 This Grand Haven home is the perfect location for your vacation destination. 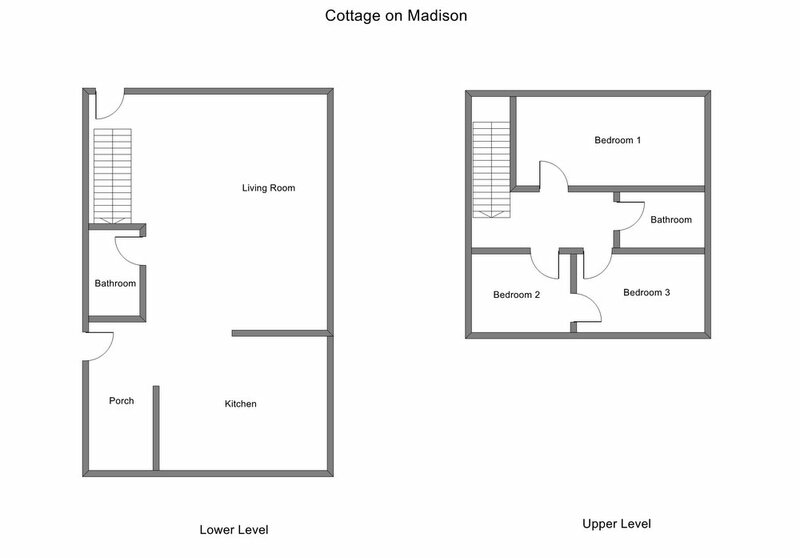 Cottage on Madison is located about one and a half miles from the public beach at Grand Haven State Park. It is also within walking distance of downtown Grand Haven! Enjoy the coziness of the home and great backyard or head to town on the bikes available for your use to see what Grand Haven has to offer. This vacation home is minutes away from all of your favorite "things to do!" This cute home features 3 bedrooms and 1 1/2 bathrooms. The master bedroom has a queen bed, the second bedroom has a twin bed with a trundle and there is a set of bunk beds in the third bedroom. A sleeper sofa in the living room will also sleep 2 additional guests. Note from Owner: "Welcome to Cottage on Madison, we hope you enjoy your stay! Our family has visited and vacationed in Grand Haven for years, so investing in a more permanent vacation home in this location was a natural fit. We love the location of this home, within walking distance to so many amenities! Our perfect day starts with a short walk to Morning Star Café for an award winning breakfast with a southwest flair. On Wednesdays and Saturdays we walk to the farmers market to pick up local produce and goods. A visit wouldn't be complete without riding bikes or the free trolley to Lake Michigan to enjoy the fresh water and white sand beaches. On our way home from the beach we stop downtown for ice cream and to visit the shops. We often find time to visit our favorite brewery, the Armory for local craft beer, cider, wine, and food from a local favorite, Righteous cuisine (Mexican/BBQ fusion—Get the Nachos!). Downtown Grand Haven offers so many restaurants options, many with outdoor dining, it’s hard to choose where to go for dinner, but we like Kirby or Snug Harbor. After a long day on the go, the quaint backyard of Cottage on Madison offers great amenities for relaxing by the fire or playing some yard games." Emails were replied to quickly and in a friendly way. It's difficult in an email to always interpret tone, but whoever was responding to the couple of emails I sent was always friendly and approachable. It was too short! I wish we had been able or thought to have stayed another day. We were so happy with the rental and with the area. We had a great time. They were always helpful over email when I contacted them. The house was very clean and the location was perfect for just the 2 of us. We biked and it was close to everything we needed. Having the extra room in the house for just 2 people was really nice during our stay. This place has everything you would need for a week stay or longer. We recommend this house and would book it again if we had to.